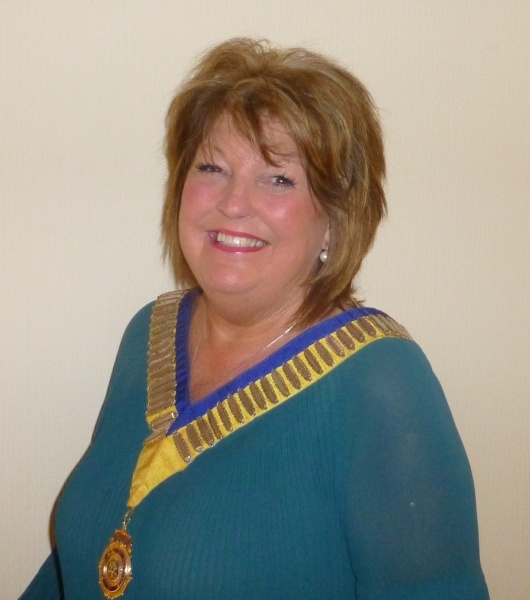 Rotary Club of Prestwick - welcome! Please scroll/swipe down through this page to find out more about us, in addition to the pages linked in the menu, top-left. 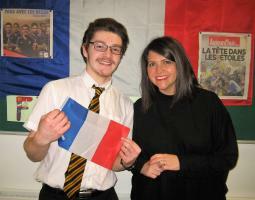 Euroscolar Samuel Buchanan and Julie Bartholome. What Scotland has given the world! Shown are Rotary President Edith Sterrick, Jack Lawson and Andrew Matheson. A team from last years tournament. Making a difference in our commuity and internationally. Were a small friendly group of people from the Prestwick area. 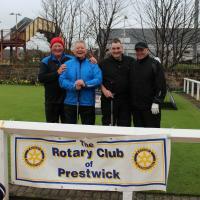 Prestwick Rotary Club started in 1948. We are part of Rotary International which is the worlds largest service organisation for community-minded people. The club was founded 70 years ago in1948. Our members are positive men and women who want to make a difference, they come from a wide range of backgrounds and ages. Be a force for good in and around Prestwick, we seek to develop the area and our community. Work with others to maximise our positive impact, always upholding high ethical standards. Support each other, respecting differences and adapting to the modern world. Would you like to be part of Rotary? Prestwick Rotary members get involved with local good causes from Rotary Young photographer, beach tidying, golf tournaments, Rotary Young Athlete, Santas grotto, Rotakids, Xmas carols and social events and much more. If Rotary sounds like the organisation for you, we'd like to hear from you. Get involved with one of our projects or come to one of our events or meetings. We look forward to meeting you. To find out more come to the Parkstone Hotel, Ardayre Road, Prestwick. We meet there on a Thursday evening at 6:30. If you are a Rotarian visiting the area, you will be made welcome at one of our meetings.